You may want to discuss with your students how this ecosystem type appears to differ from other tropical ecosystems such as tropical dry forests, or savannas -- and how this tropical rainforest looks like rainforests in other regions of the world, although they may have no species in common. 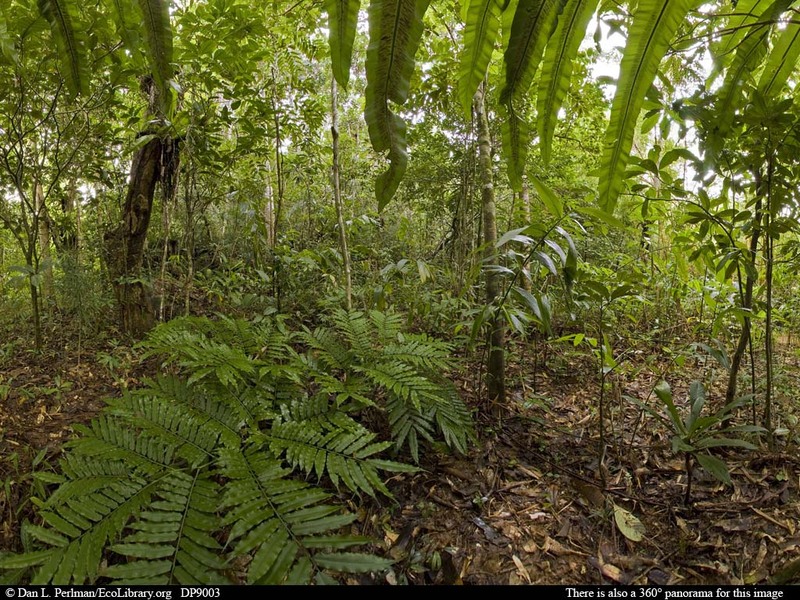 Most tropical rainforests look and feel much the same: very warm, humid, full of very large trees, with a canopy far overhead -- but the species found in these rainforests can be very different from forest to forest. Given the very high proportion of endemic species in Madagascar's ecosystems, this forest and a Costa Rican rainforest probably have no more than a handful of species in common -- and they may share none at all.